Napa Valley College, part of the California community colleges, serves more than 8,500 students. The current campus opened in 1965, but after the initial flurry of construction, no buildings were added for more than two decades. 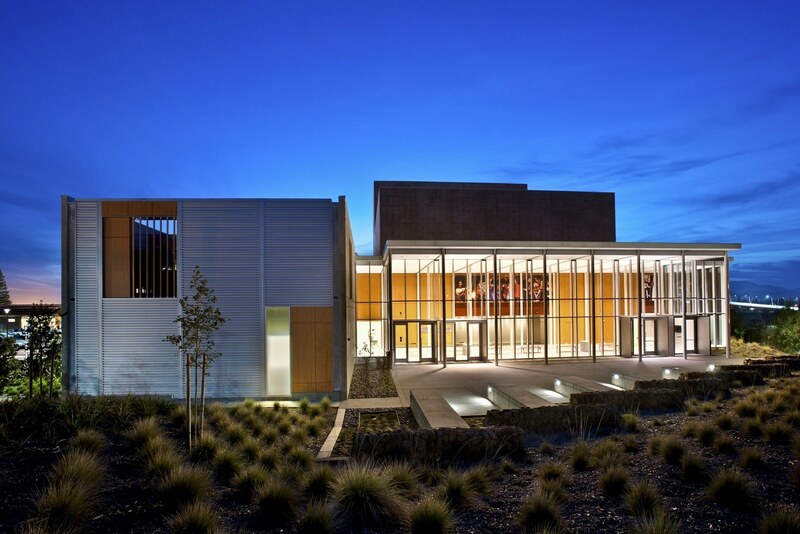 When a bonding bill was passed in 2002, allowing the first campus expansion in nearly a quarter century, funds were committed to building a new performance center. 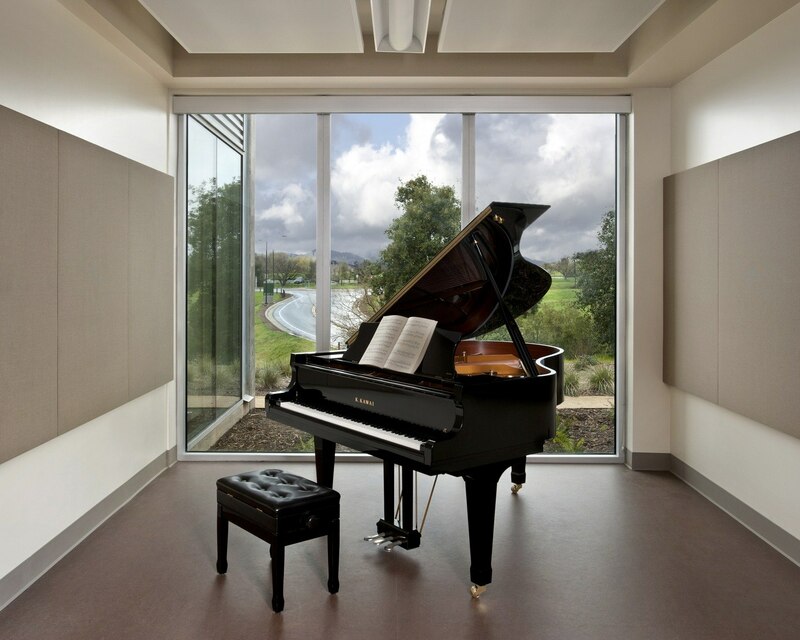 The college overlooks the Napa River, and HGA, selected to design the performance center, worked with administrators to take full advantage of the picturesque views of the valley and nearby mountain ranges. 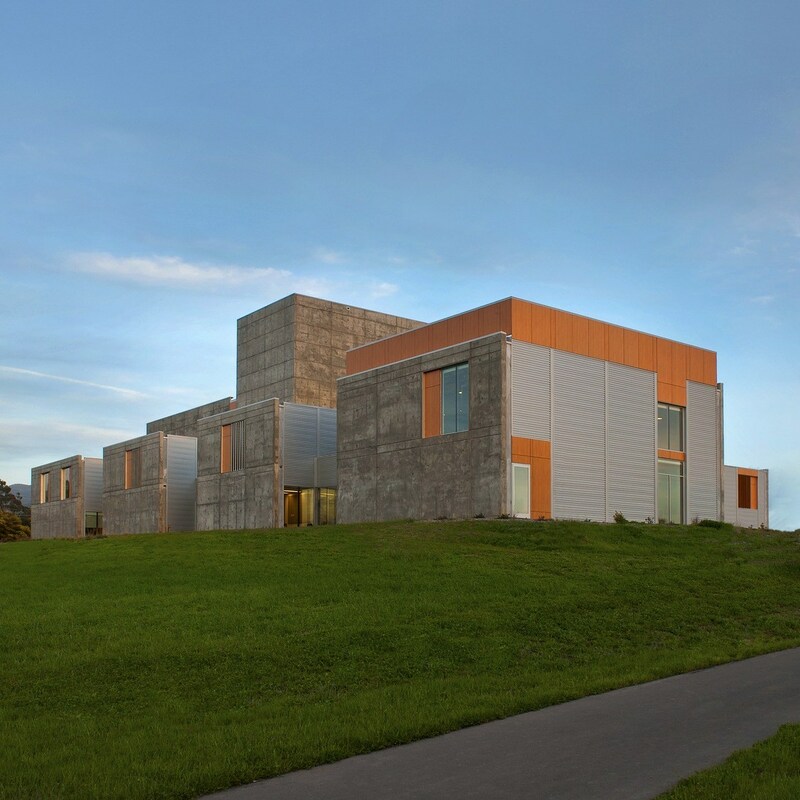 The simple yet striking design—a cluster of conjoined rectangular masses made from site-cast concrete, is punctuated by a series of open and glassed-in voids. At night, the warmly-lit lobby is visible to community below and beyond. 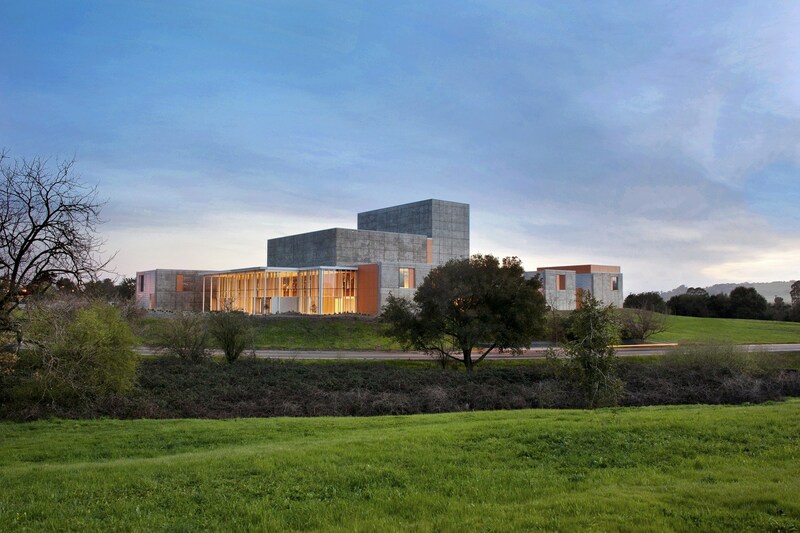 The 48,000-SF facility features a 550-seat theater with a dazzling orange proscenium, a black-box theater for more intimate and experimental work, and a music-recital venue—all accessible from the main lobby. The building also contains offices and a scene-and-costume shop, as well as spaces for theater, choral, orchestral, and piano rehearsal. In addition to welcoming visitors at the campus’s north entrance, the facility is a center for state-of-the-art teaching and performance, furthering the college’s mission to engage students and promote learning.